Napa Valley’s Carneros AVA adds another winery to its map with the opening of Liana Estates. The winery fulfills a long cherished dream of its founders, Lisa and Ariana Peju of the Peju Province Winery family. Liana Estates is an experience-focused winery providing visitors with immersive experiences that embrace each of the five senses. 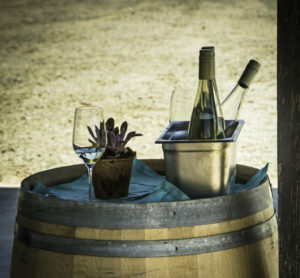 The focus will be on offering an ever-changing selection of high-quality wines and bubbly while connecting visitors to the breathtaking scenery of Napa Valley and San Pablo Bay. This fall, several immersive experiences will include wellness activities like yoga, culinary classes and chef-centric vineyard dinners paired with wine selections. 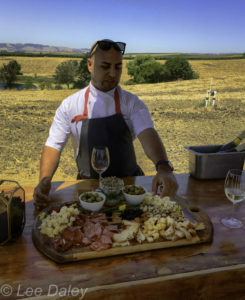 While these experiences are growing in popularity in Wine Country, Liana is eager to offer guests unique all-inclusive experiences that both stimulate and soothe the senses. Housed on the site of the former Acacia Vineyard in the Carneros AVA, the first-floor tasting room highlights designer Lauren Pique’s eco-sensitive aesthetic, a melding of natural elements in a fresh contemporary design. Abundant light and views enhance the space. Nostalgia plays a role on the walls of wood reclaimed from the Peju family’s Pope Valley property. Nature-inspired design continues on the second and third floors, each boasting panoramic views of San Pablo Bay. The second floor Wine Club Lounge, a private tasting room, expands out onto a porch for further enjoyment of views while a fireplace brings warmth in cooler weather. Winemaker Sara Fowler joins Liana Estates with decades of winemaking experience, pouring her knowledge, passion and creativity into a new taste of Carneros. Sara brings her passion for innovative blending to Liana Estates’ modern winery concept, paying homage to the Carneros regions notable Pinot and Chardonnay while also cultivating “lost grape” varietals. Having worked both locally and internationally, her expertise has brought accolades as a wine educator, speaker and trainer. Most recently she has served as winemaker of the legendary Peju Province Winery in Napa Valley. The Pantry: Local artisans and growers will stock the shelves daily with flowers, produce, eggs from down the road, honey from nearby hives and olive oil from neighbors. 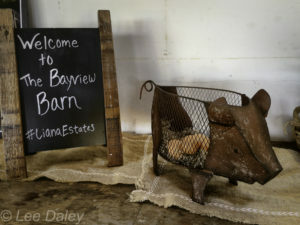 Bayview Barn Sunsets: Begin your evening adventure at our Bayview Barn. 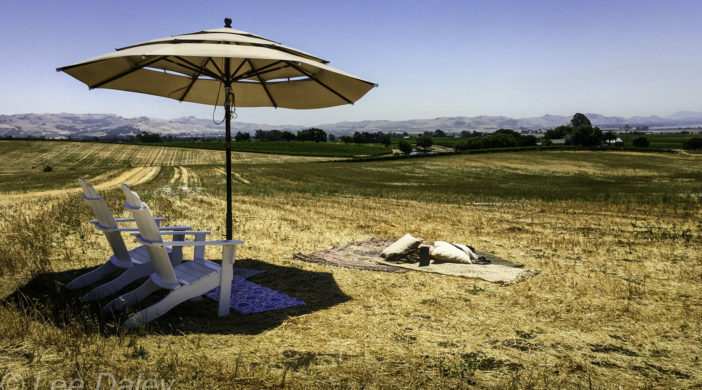 Nestled on the hillside in the heart of Carneros, take in the beauty of this amazing destination and enjoy a sampling of Liana Estates wines with a selection of Carneros small bites. Sample offerings: Artisan Sonoma cheeses and charcuterie, Las Amigas Deviled Farm Eggs and Pt. Reyes Oysters. Fridays & Saturdays Visit www.lianaestates.com for a complete and evolving calendar. NapaValley. 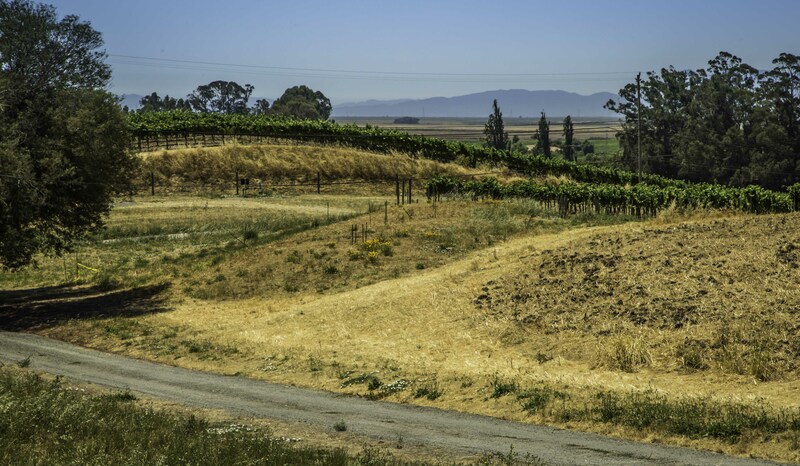 Located 40 miles north of San Francisco, its proximity to San Pablo Bay makes Carneros the coolest region in Napa. The combination of coastal salt-infused fog and warm summer days creates ideal growing conditions for Pinot Noir and Chardonnay grapes, producing delicate and complex wines with distinct flavor profiles .Its views and location make Carneros’ picturesque wine region perfect for an afternoon escape. Liana Estates is located on 100 acres of land, 40 of which are currently planted. The winery will produce Pinot Noir and Chardonnay (Carneros classics), but will also focus on fun and unique varietals that may vary year-to-year. Their winemaker, Sara Fowler, has a passion for finding “forgotten” or “lost” varietals and bringing them to life in Carneros. Raised in the Napa Valley, the Peju sisters came up with the name Liana by combining their two names. The winery is located off of Duhig Road, just south of Domaine Carneros at 2750 Las Amigas Rd, Napa, CA 94559. Telephone: (707) 302-1160. It opens Saturday, October 1, with a ribbon cutting at 10 AM. Visit the website at www.lianaestates.com.